European Congress on Odonatology | Välkommen till Trollsländeföreningen! ECOO är en biennal som vandrar runt i Europa sedan 2010. 2016 arrangerade Trollsländeföreningen och Naturskyddsföreningen den i Skåne, nästa sker i Tjeckien 2018. The key objective of our congress is to advance the science of Odonatology in Europe (and too in a whole context of the world), as well as relationship to nature conservation, habitats, behavioural science, ecology, hydrobiology, etc. The congress will explore opportunities and challenges for Odonatologists to meet each other and to communicate new knowledge in such a beautiful and interesting science as Odonatology is. Congress will be held in Brno (the second largest city in the Czech Republic). It is organize by Moravian Forestry Institute, Mendel University in Brno, with cooperation University of Ostrava, Nature Conservation Agency of the Czech Republic. 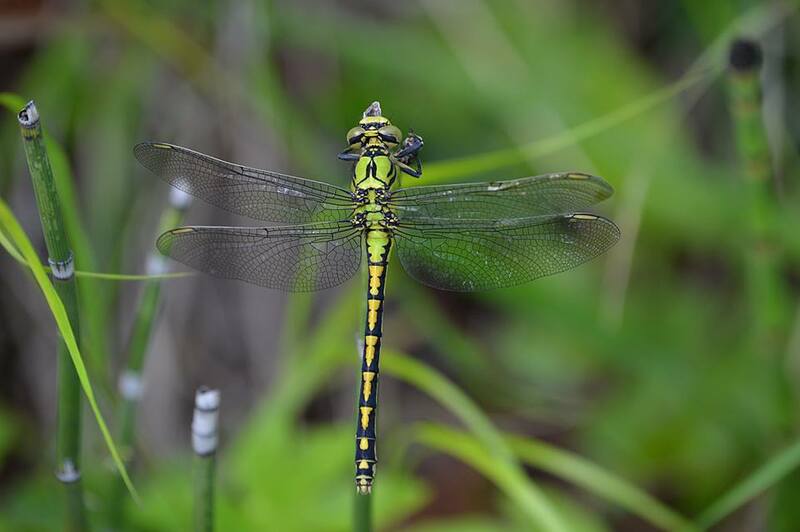 During congress we plan to visit the Pannonian lowland (50km southern wards from Brno) for observing (sub)mediterannean species – stable population of Coenagrion scitulum, Epitheca bimaculata, Crocothemis erythraea, Gomphus flavipes etc. For second place (60 km easternwards from Brno) we want to see northermost population of Cordulegaster heros in the uphills of Carpathian Mts., and too populations of Cordulegaster bidentata and Ophiogomphus cecilia. Hona grön flodtrollslända V Pajala. Foto: Magnus Billqvist / Trollsländeföreningen. Detta inlägg postades av tsf. Bokmärk permalänken.